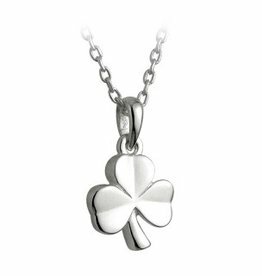 Solvar Irish Jewelry - “Celtic Kids” Sterling Silver Necklace Pendant available in your choice of Shamrock, Trinity, Claddagh, or Celtic Cross. Measures 3/8” Wide, 16” Chain. 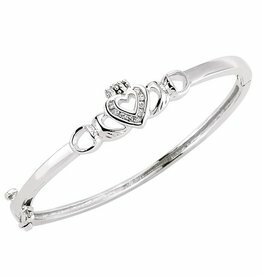 This adorable little Sterling Silver Baby Claddagh Bangle features a heart of Cubic Zirconia stones. The bangle is hinged. 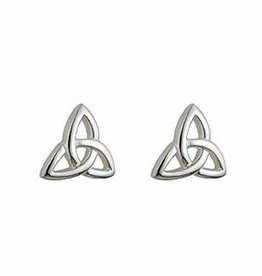 Measures: Setting: 24mm x 9mm - Bangle width - 45mm. 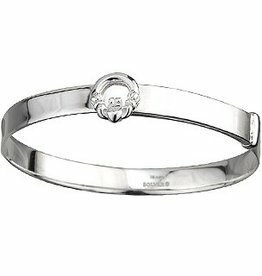 Solvar Irish Jewelry Baby Size Sterling Silver Celtic Bangle available in your choice of Trinity, Claddagh, or Shamrock! 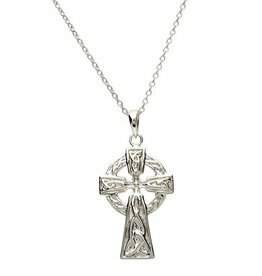 This 1/4” tall Irish Baby Bangle is Adjustable from 1 1/2” to 2” Diameter.